I can’t imagine where I’d be had I not found my Unitarian Universalist congregation. How did I get here? How could I have gone so quickly from a warm loving family to a barren empty flat? Those questions echoed in my mind’s dank chambers as I surveyed the unfamiliar living space. Floor-to-ceiling stacks of boxes obscured stark, bare walls. Could the pieces of my shattered life ever reassemble into something resembling normal? Nothing was normal, and maybe never would be again after the metaphorical hurricane that had laid waste to my life. That hurricane had a name. Transgender. People are far more comfortable allowing the messy business of a gender transition if it is presented by storytellers as a foregone conclusion from the start. But reality is nowhere near that neat. The media would have you believe transgender people “always knew” their gender. The news shows us story after story of little girls knowing in their hearts they are boys, or boys asking to wear dresses and play with Barbie dolls. Even if this knowledge goes unexpressed for decades, we’re led to believe, their gender was obvious to them from a young age. I set about putting together the puzzle pieces of what until then had seemed unrelated traits. My reading habits involved almost exclusively books written by, for, and about women. While awaiting the doctor, I invariably chose the women’s magazines. My favorite movies featured stories about strong women who overcame adversity, and my favorite songs tended to be those from female artists whose mighty voices sang of feminine empowerment. I also began for the first time to examine a feeling I’d had since my teen years: regret that I was not born female, with a female body. I would frequently try a thought experiment: Would I give up everything to magically become a woman? The answer invariably came back “yes.” I would gladly trade my own life for just about any female one. I had been cast from paradise. My new fabulous life as my female self had come down to barren walls and brown cardboard boxes. I needed to rebuild my life. But where to begin? How could I find a place where my brand of newly minted femininity would be supported? Some weeks earlier, I had attended a gathering of transgender people at the First Unitarian Universalist Church of Baltimore. There, I had run into someone I had worked with years earlier. 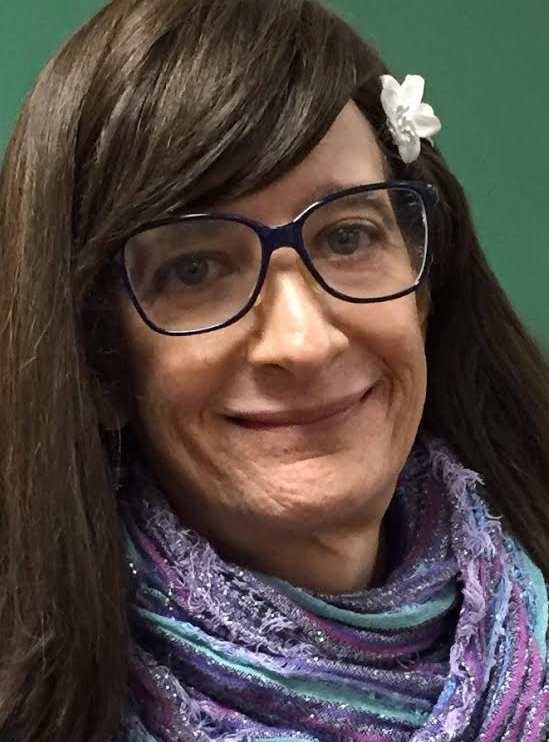 She wasn’t transgender, but was there as a member of the church. She was eager to give me a tour of the historic building, including the magnificent sanctuary where William Ellery Channing gave his famous sermon. When she learned that I didn’t know the first thing about Unitarian Universalism, she gave me a brief primer and read me the seven Principles. I recall thinking it was remarkable that they seemed to express almost precisely my own personal values. However, I was raised Jewish, a religion that has seen itself as under siege since its inception. Jews are trained to resist the draw of other religions, seeing conversion as a betrayal of not just our faith but our very culture, our families, friends, and traditions. So I had filed my knowledge of the UU Principles among the general factual trivia that clutters my mind. During those early days of living alone, though, feeling adrift and disconnected, the idea of joining a faith community began to seem attractive. I looked into some of the Reform Jewish congregations in the area, but I was not enticed. They appeared more focused on the observance of rituals than any real spiritual exploration. I got a much different impression visiting the website of our local UU congregation, the Unitarian Universalist Congregation of Columbia, Maryland, “UUCC” to pretty much everyone. I found myself registering for a Get Connected class, and on a windy February morning I took a seat in a makeshift circle of chairs at the center of a seemingly cavernous sanctuary in Columbia’s Owen Brown Interfaith Center. By the time the class started there were ten women seated there, and we were joined by a young couple a few minutes later. The first order of business involved introductions. As we went around the circle, I was astounded to find that among the ten original women, five of us were queer, including the assistant minister leading the class. What I heard that day convinced me that UUCC was a great fit. I left intending to take advantage of all the social, spiritual, and educational opportunities I had time for. The only events I planned to skip were the weekly services. My childhood memories of synagogue involved excruciating hours listening to interminable chanting in Hebrew about the greatness of God. The only spiritual experience they seemed to offer me came from the overwhelming relief when they were finally over. While leaving the Get Connected class, I said as much to one of my fellow students, who also came from a Jewish background. She persuaded me to give the service at least one try. So on a Sunday morning in early March 2014 I first heard the senior minister, the Rev. Paige Getty, preach. The topic that week was “family,” and the service included testimony by members of three dissimilar families. One involved a blended family and the trials and rewards of merging their two households. A single woman told of her life, and a gay man spoke of initially being rejected but then finally accepted by his partner’s mother. Getty painted an expansive view of the world, one where diverse family structures contribute to beauty and variety. So sincere and affirming was her message that my eyes weren’t dry for a moment during the entire hour-long service. Adapted with permission from Testimony: The Transformative Power of Unitarian Universalism , edited by Meg Riley (Skinner House, 2017). Suzi Chase is a member of the Unitarian Universalist Congregation of Columbia, Maryland.